Most car accident cases settle prior to trial but when negotiations fail, the case goes to trial. When this happens, make sure you have our Riverside auto accident attorneys on your side. 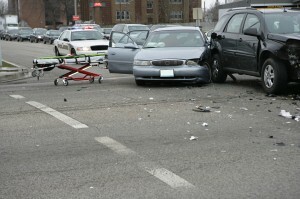 Generally, car accident cases are tried before a jury who decide the facts and important issues in the case. Jurors are selected through voir dire, where both parties and the judge will ask potential jurors questions to eventually determine who will sit in the jury box. Riverside car accident attorneys find this process important because the purpose is to weed out those who are biased or prejudiced and keep those who can be fair and impartial. During closing arguments, each side will discuss what evidence was presented. This is the last opportunity for each party to persuade the jury to return a favorable verdict. The judge will then instruct the jury on the applicable law before secluding them in a room where they will confidentially discuss all the evidence and determine a verdict. It is imperative that you remember that there are numerous parts of the case that will have an influence on the jury. Your attorney will tell you to think about these 4 issues as the date of your trial approaches. Our skilled Riverside auto accident attorneys are experienced with the trial process. Contact Russell & Lazarus APC at (800) 268-9228 to discuss your car accident case today.